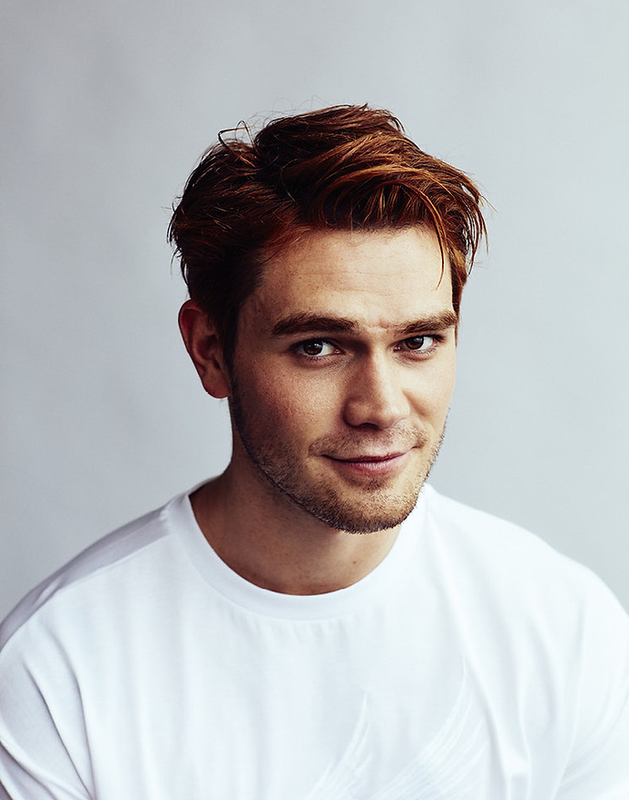 One of everyones favourite Netflix shows, Riverdale, has returned and so has my man crush this week; Archie Andrews aka KJ Apa. I know everyone is watching this show thinking damn Archie looks good, and if you haven't seen this show then you definitely need to go binge now, its great! I'm really glad this show is back and we get to see more of this hunk. Until the next episode is added, enjoy KJ Apa here. He has a tribal tattoo on his right shoulder as a tribute to his family. Apa was 15 when he got matching tattoos with his sister and mom. "My dad's father was a high chief ... and the family agreed my dad would take over his chief title: Tupa'i"
He plays guitar, seriously. He started when he was 11 years old and his skills helped him land the role of Archie. He's not actually a redhead. You can probably tell. Dyeing his dark brown hair the perfect shade of Archie auburn took 10 hours (and then required biweekly touch-ups). And yes, the first thing he did after season one filming ended was ditch the 'do.